The decision to get divorced is a big one, and not one that should be undertaken lightly. In many cases, couples who decide to get divorced have deliberated for many months (or even years) before finally resolving that divorce is their only remaining option. After so much deliberation, they may be tempted to rush the process or make hasty decisions in an effort to get the whole thing behind them as quickly as possible. While we certainly understand your desire to put the process behind you quickly, our divorce attorneys in mid-Missouri are here to caution you against moving so quickly that you make careless mistakes. Some mistakes are relatively harmless, but others can cause serious consequences. Here is a quick look at some of the common mistakes divorcing couples make and how you can avoid them. The most important thing for any divorcing parent to remember is that your ex is not your child’s ex. You and your spouse may have decided that you can no longer live with each other, but your child will not necessarily have come to that same conclusion. Your child could still very easily want to spend time with your soon-to-be ex, and spending time with both parents is often essential to a child’s development. When navigating a divorce, it’s important that you not force your children to choose a side. We just talked about the danger of forcing your children to become overly involved in the divorce process by asking them to take sides, but it’s important to realize that this is a double-edged sword. While you do not want to make your children become overly involved, you should also not downplay their involvement. Their parents are getting divorced, and it will affect their lives tremendously both in the present and in the future. Make sure you talk to your children frequently throughout the process, ensuring that they feel valued and that their needs are heard. The movies and the media play up images of high-stakes, highly contested divorce cases, with two angry spouses and their attorneys battling it out in the courtroom. The truth is, however, that many divorce cases can just as (if not more) easily be resolved outside of the courtroom. Because it is less time-consuming and less expensive, mediation is often a favorable option when the divorcing parties are willing to compromise. You may be angry at your spouse, but is it really worth all the extra time and money that litigation will require? We understand that you want to get your divorce over with as quickly as possible, but we urge you to consider the fact that your divorce will affect your life for years to come. Rash decisions may result in undesirable long-term consequences. Hastily moving out of your shared home for the sake of getting some space, for example, may make it more challenging to secure your right to some of your shared assets, such as furniture and other belongings. 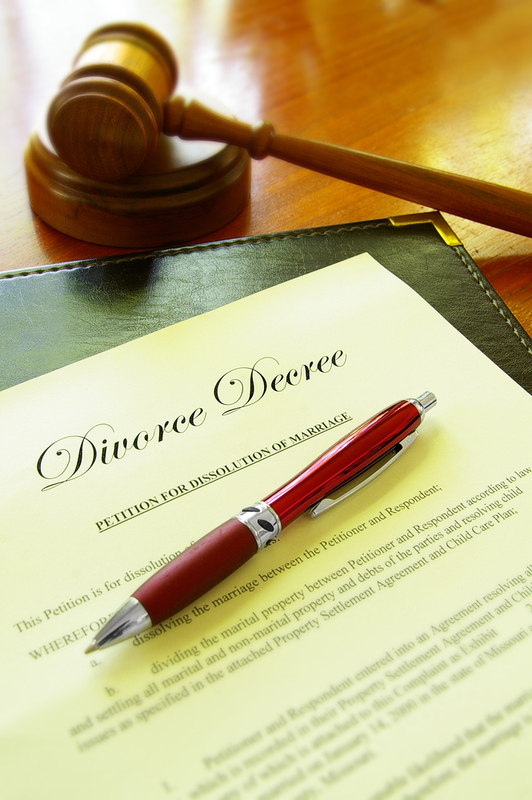 For best results, consult with your divorce attorney at the Lake of the Ozarks before taking any serious actions. Before getting too far in the divorce process, it’s important to take a critical look at your financial standing. What are your primary sources of income? Is your paycheck deposited into an account that both of you or only one of you can access? If you are a stay-at-home parent, will you have the funds required to support yourself both during the divorce and afterwards? Your divorce attorney in Lebanon MO will be able to help you evaluate your financial situation and determine what steps need to be taken in order to protect yourself. Whether or not to get divorced is a big decision, and should not be undertaken lightly. While your divorce is underway, it’s important that you stay in frequent contact with your experienced divorce attorney in Tuscumbia MO to ensure that you are doing everything you can to help your case. Contact our firm today to schedule your free consultation!